Welcome to the November 14, 2018 edition of ACM TechNews, providing timely information for IT professionals three times a week. Scientists warn that hackers could weaponize artificial intelligence (AI) to conceal and accelerate cyberattacks and potentially escalate their damage. IBM researchers last month demonstrated "DeepLocker" AI-powered malware designed to hide its damaging payload until it reaches a specific victim, identifying its target with indicators like facial- and voice-recognition and geolocation. IBM's Marc Stoecklin said with DeepLocker, "AI becomes the decision maker to determine when to unlock the malicious behavior." Meanwhile, the Stevens Institute of Technology's Giuseppe Ateniese has investigated the use of generative adversarial networks (GANs), which contain two neural networks that collaborate to deceive safeguards like passwords; he designed a GAN that fed leaked passwords found online into an AI model, to analyze patterns and narrow down likely passwords faster than brute-force attacks. Said Ateniese, "We need to study how AI can be used in attacks, or we won't be ready for them." Virginia Polytechnic Institute and State University (Virginia Tech) researchers have developed the first-ever composable storage framework for high-performance computing (HPC), which may eventually help realize exascale computing. Key value (KV) systems that store and retrieve vital data from extremely fast memory-based storage are the core element in Virginia Tech's "BespoKV" framework. Such systems are dramatically more efficient for storage when certain content demands continual access; content loads from the faster in-memory store in closer proximity, ensuring high performance in task completion or requests. BespoKV can compose a range of KV stores with desirable functions, transforming a single-server KV store or datalet into immediate and ready-to-use distributed KV stores; it decouples the KV store design into the control plane for distributed management and the data plane for local data storage. U.S. supercomputers from IBM are now ranked in first and second place on the latest Top500 list due to upgrades. 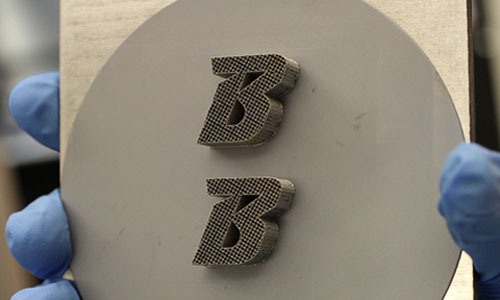 The Sierra system at the Lawrence Livermore National Laboratory attained second place on the newest list, dethroning the Chinese Sunway TaihuLight that previously held the top spot for two years. 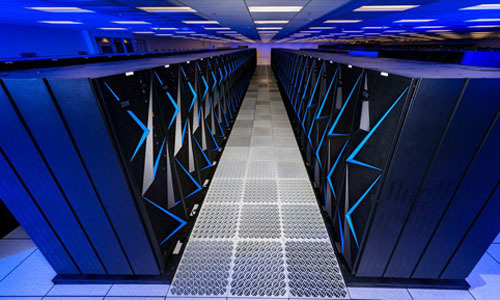 The Summit system at the U.S. Department of Energy's Oak Ridge National Laboratory claimed the top spot in June with a speed of 122.3 petaflops, but has since been upgraded to 143.5 petaflops. Both Sierra and Summit use IBM Power9 processors with Nvidia Tesla V100 accelerator chips and Mellanox high-speed Infiniband network links, with Summit featuring 2.4-million processor cores to Sierra's 1.6-million. China still dominates the Top500 list with 227 supercomputers, versus the U.S.' 109. Alibaba used artificial intelligence (AI), machine learning, and other technologies to rack up $30.8 billion in gross merchandise volume through its 24-hour Global Shopping Festival on November 11 (11/11, or “double eleven”). The company employed AI to enhance the shopping experience for buyers and sellers, and pushed the envelope of its cloud infrastructure to process a high volume of transactions. Alibaba optimized the performance of the global Internet data centers (IDCs) hosting its online stores with the DC Brain intelligent operating platform, which uses machine learning to forecast electrical consumption and power usage effectiveness for each IDC in real time, controlling each to lower overall energy consumption. Also used by Chinese shoppers was Mobile Taobao, a global tracking system app that uses the Internet of Things and blockchain to confirm products bought by consumers via dual authentication and two-way encryption. The app tracks the real-time location of items through location-based services and global positioning systems. Clothing brands collaborated with the Canadian nonprofit Canopy to build a website employing satellite imagery and conservation research to identify forests that should be kept pristine, in order to make supply chains less ecologically destructive. The "Forrest Mapper" features images that can resolve to 30 square meters in some areas; it displays 36 layers of data—25 directly about forests, with others encompassing threatened species habitats and carbon sequestered in trees and soil. On-the-ground research, complemented by Forrest Mapper, is only now giving consumer companies and non-governmental organizations sufficient data to either prune undesirable viscose (rayon) supplies from the business, or challenge suppliers to rethink their practices. For example, Kimberly-Clark's Lisa Morden said the company intends to overlay its supply chain onto the Forest Mapper, because "The data is very rich and has a lot of depth to it, so it gives us some more science-based approaches to how we think about our supply chain." 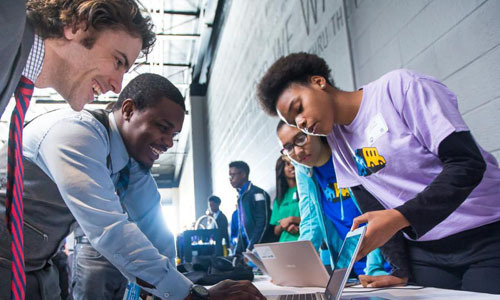 The Digital Harbor Foundation, an organization dedicated to fostering learning, creativity, productivity, and community through education, is providing Baltimore's youth opportunities to develop coding skills and other talents to secure careers in the technology industry. Teams from the Tech Center are working to prepare young people for the innovation industry, with expectations that programming and digital fabrication will become Baltimore's economic driver. Experts said opportunities are abundant if city leaders can support a niche market based on the demands of locally based companies. This entails customizing education to create a skilled labor force, and then giving young people the ability to assume jobs that will attract more companies and generate an economic identity for the community. Baltimore's Department of Recreation and Parks is organizing a pilot program using the Digital Harbor Foundation model, which was funded by a charity to design and open recreation center-based manufacturing and computer science programs. The U.S. National Science Foundation (NSF) and other science agencies are rewriting the government's strategic cybersecurity research and development (R&D) plan, and are soliciting public and industry commentary on new technologies to improve the "security, reliability, resiliency, and trustworthiness of the digital infrastructure." Also of interest to the agency is how the government should revise cyber training, education, and workforce development to prepare for cybersecurity's impact on new technologies like quantum computing and artificial intelligence. The rewrite, scheduled for completion next year, will update the 2016 cybersecurity R&D plan, which concentrated on near- and medium-term enhancements to U.S. cyberdefense, and the reduction of adversaries' asymmetric advantages in cyberspace. The deadline for public and industry feedback on the rewrite is January 15. Researchers at Aston University in the U.K. have developed a way to improve the battery life of mobile devices by minimizing the power consumption of mobile apps by up to 60%. The method integrates mobile computing with cloud computing, with tools developed to identify the most power-hungry parts of a mobile app; the system shunts these parts to the cloud via code-offloading. The researchers developed a mobile-cloud app framework for Android that hybridizes mobile apps, executing them across both mobile and cloud platforms. The team conducted experiments on two different Android apps: ImageEffects, an Instagram-like prototype app, and Mather, an open source app. Said Aston's Aamir Akbar, "On one, our results showed that battery consumption could be reduced by over 60%, at an additional cost of just over 1 MB of network usage. On the second app, the app used 35% less power, at a cost of less than 4 KB additional data." 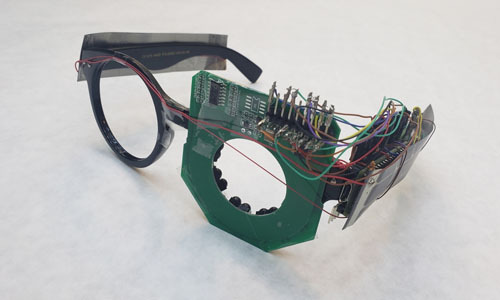 The North Inc. startup in Ontario, Canada, has designed eyeglasses that interact with Amazon's Alexa digital assistant and connect to smartphones via Bluetooth to check various apps without obscuring the wearer's vision. North's "Focals" technology is "hidden by design" within a fashionable form factor. Said North's Adam Ketcheson, "Whereas most of the companies that have come before us have tried to shrink all the information that's on your cellphone and essentially stick it in front of your eyes, we've really focused on trying to only give you the information that allows you to stay connected." 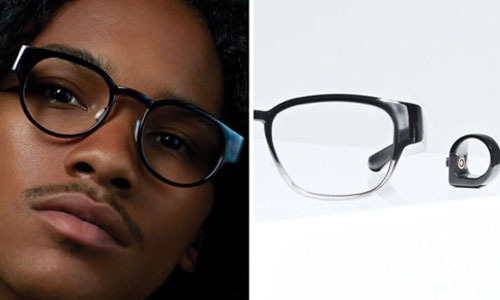 The Focals eyewear utilize a hidden holographic display that projects images so they appear about an arm's length in front of the wearer's eyes. The University of Ontario Institute of Technology's Isabel Pedersen said technology consumers are “a lot more sophisticated when it comes to the idea of wearable technology” than when digital eyewear was first introduced, “just from what they're doing in their everyday life."